Both times I've visited there have been some worrisome moments: the blindfolded artists bravely climb ladders and confidently wield power drills and hacksaws as they complete the project. No one seemed to be injured so far. In the span from the first to the third day (this past Thursday and Saturday), they had added quite a bit of material. After they unveil the work (to themselves), it will stay on display through February 26. Until then, there are far worse ways to spend a gallery tour or Chelsea coffee break. 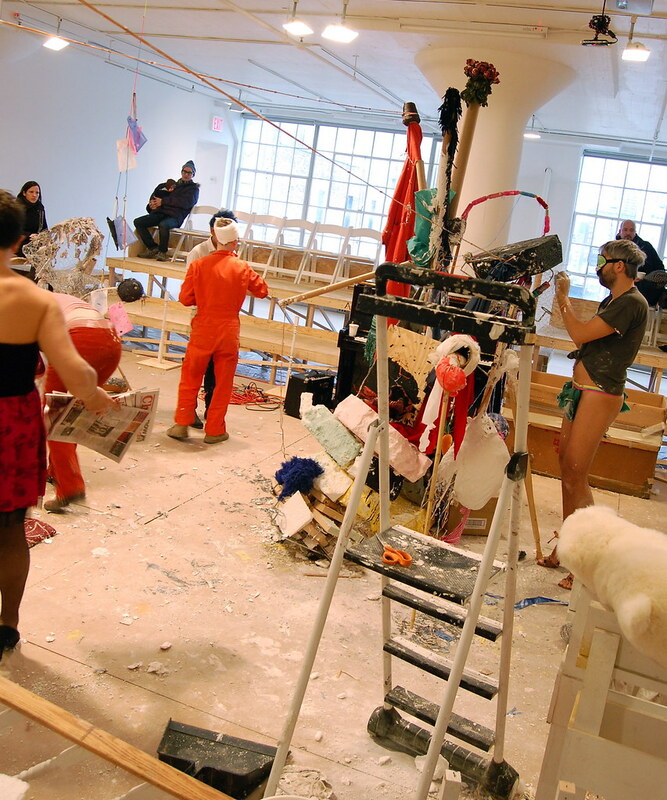 Benches have been constructed around the sculpture area, letting viewers relax and watch, as if the makeshift studio was a gladiatorial area. As for the art stars, it’s basically like weekly episodes of Love Boat. Even though it’s incredibly formulaic, the special guest stars add enough novelty to keep people interested week after week. And so it’s the formula–and the main characters, Gopher et al/Gelitin–who come out ahead. 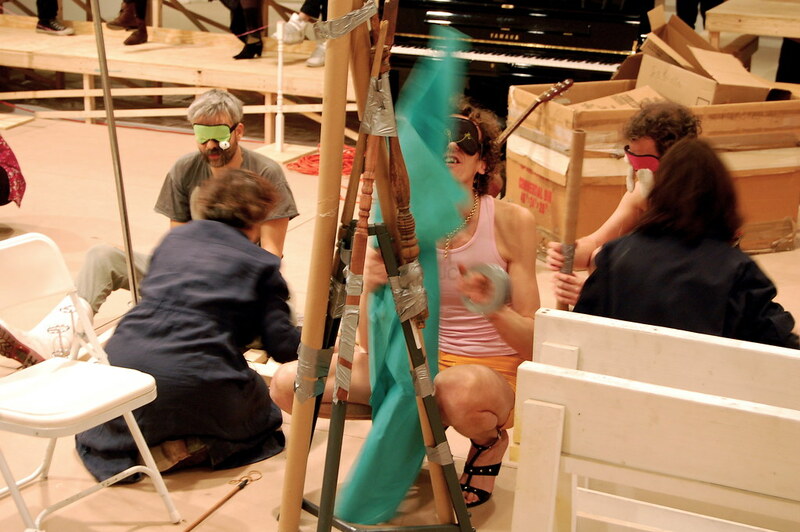 It's a funny conceit — "let's make a sculpture while blindfolded" — stretched to a silly extreme. The life of an artist is slow, mundane, and monotonous, viewers learn. 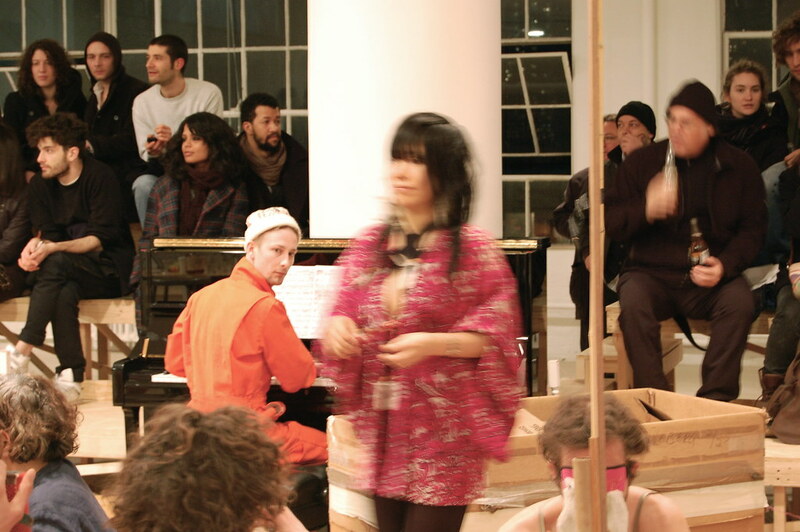 But while it's not a thrilling spectacle, as the piano player provides a running score to the show, the gallery becomes a nice place to hang out and chat; a warm safe-house above Chelsea's frigid streets with a good view. 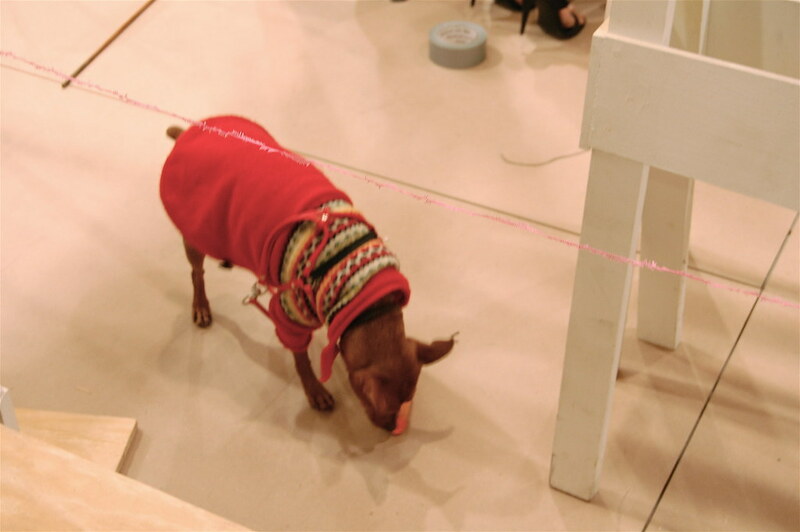 On the first evening, a puppy was present, gnawing here on a piece of carrot. 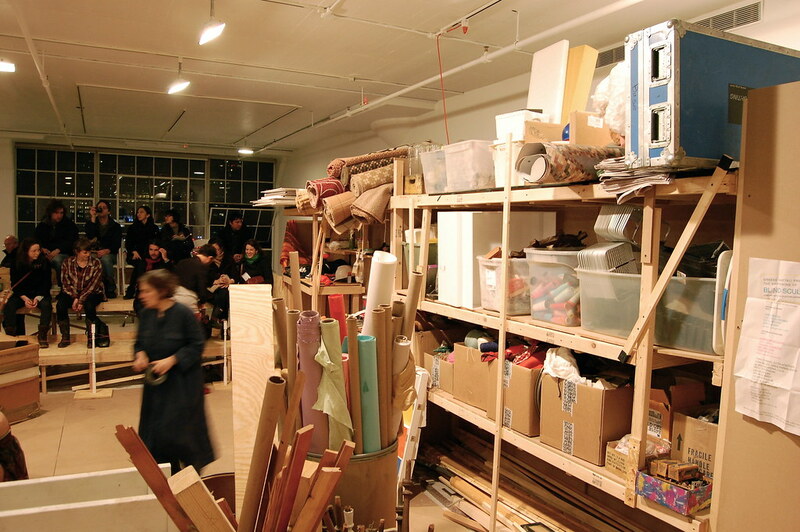 The supplies available to the artists filled one side of the installation area on the first evening of construction.